When it comes to critical vehicle parts and systems, brakes must top the list. You may not think of them often – which probably means they’re working well, and that’s a good thing! But keeping them in good working condition is vital to keeping yourself and your loved ones safe. No car owner wants to face the prospect of sending their car in for service. Fortunately, brake service is a no-brainer here in White Plains, NY, since here at Pepe INFINITI we believe in giving our customers nothing but the best when it comes to service technicians who know your car’s brake system inside and out. We believe in helping you protect the investment you made when you purchased your vehicle, along with keeping you safe while on the road.. If you feel vibrations in your brake pedal similar to the pulsing you’d feel when using your anti-lock brake system (when you’re not using the ABS), there could be a problem with your brakes. This is a sign of worn rotors thrumming against your brake pads. If your car pulls to one side or another when you apply the brakes, this could be a sign that you have a stuck caliper causing friction on one wheel. It could also mean that you have a collapsed brake hose or uneven brake pads. If it takes a lot of effort to depress the brake pedal, you could have a vacuum system problem or an obstruction in your brake line. If it feels as though the slightest tap sends the brake pedal to the floor, you could have worn brake pads or an issue with your hydraulic system, such as a fluid leak. You can check for leaking brake fluid (which is light colored) by leaving a light colored piece of cardboard underneath the car overnight. If your brakes are squealing, this could be a sign that your brake pads are worn. It’s always important to have your brakes checked when you hear squealing, for once that squealing turns to grinding, the brake pads are completely worn and damage is potentially being done. Having brake pads replaced is much less involved than having your entire brake system replaced. Even if your brakes appear to be running smoothly, it’s still important to have them serviced yearly so as to ward off any potential problems. 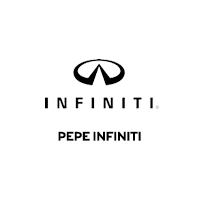 Pepe INFINITI of White Plains is a full service dealership, offering New and Certified Pre-Owned vehicles as well as a fully equipped service department. The full range of new INFINITI vehicles are available for viewing and test drive, including the latest models. Come see our team for special offers on vehicles, as well as parts and service.